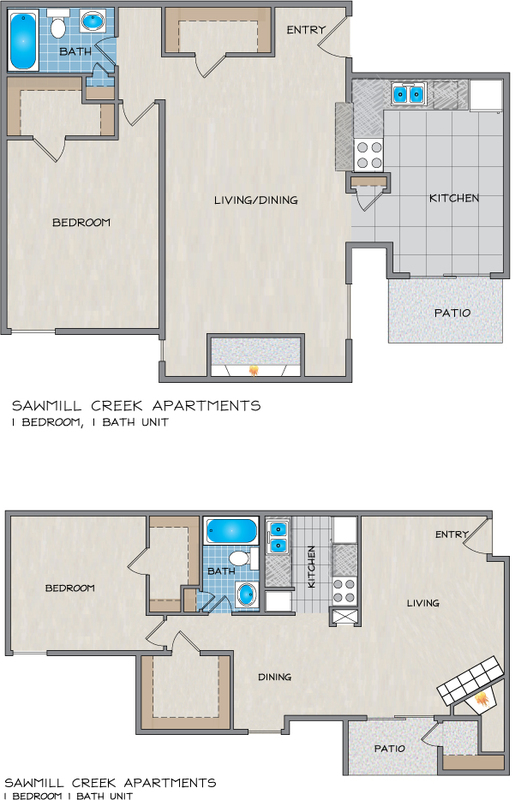 Please send me more information about Sawmill Creek Apartments. Sawmill Creek, has five apartment home styles, superior in size, showcasing contemporary amenities and ultimate living space. Our distinctive one and two bedroom apartments feature both town homes and garden style flats. 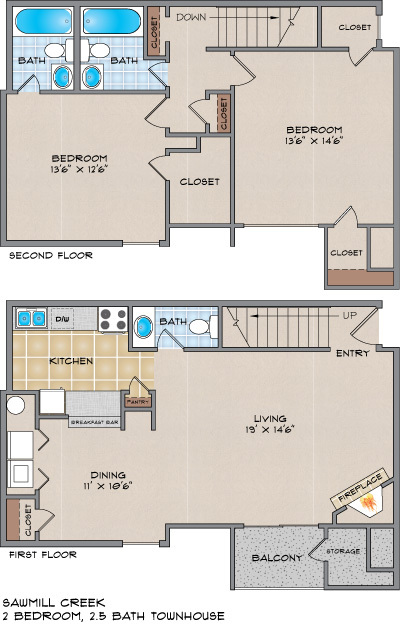 Please take a moment to view our floor plans for a description of our full amenity package which includes a full washer and dryer in all apartments at this River Ridge, LA apartment community. Sawmill Creek Apartments in River Ridge, LA are just minutes away from both the New Orleans and Metairie Central Business Districts, also conveniently located near the Huey P. Long Bridge. This superior location places you in close proximity to restaurants, shopping and entertainment. Our caring staff is dedicated to your comfort. We do our very best to provide a quality living experience emphasized by resident services and the best apartment homes in the New Orleans area. 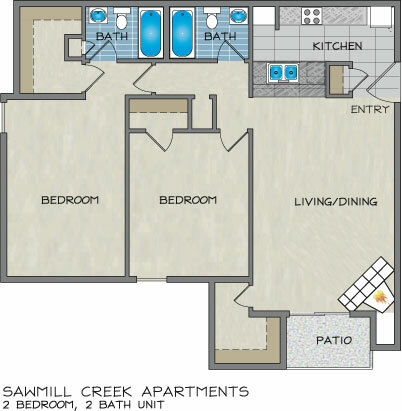 At Sawmill Creek your own private wooded environment beckons you home to resort style living. Enchanting pools, grilling stations and a newly constructed outdoor fitness facility and playground promote an active lifestyle. Once you come inside our gated community, you are welcomed by serene environment showcasing natural beauty. If you are looking for an apartment for rent in River Ridge, come experience the warm, inviting atmosphere created by wood burning fireplaces, vaulted ceilings and private patios or balconies. 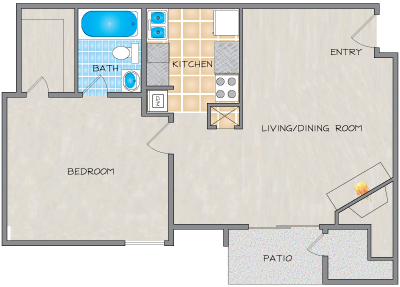 Here in River Ridge, Sawmill Creek has some of the largest floor plans in a great area to live. My children and I are really happy living here. Its nice and quiet and very safe. 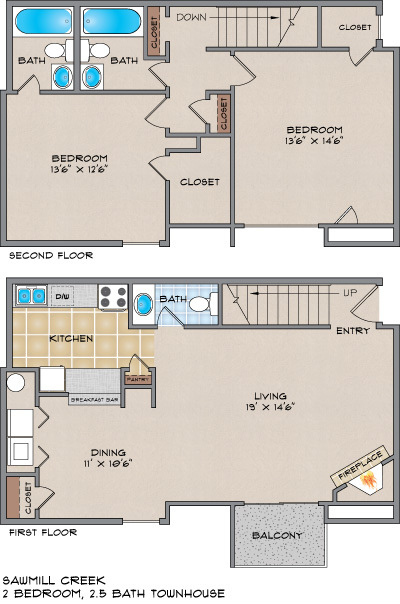 We have a 2 bedroom townhouse that's huge - plenty of room and tons of closets. We love the pools and pet areas. Everyone is so nice and considerate. The office staff is wonderful. I've had a few tiny issues and maintence is always quick with their response times. Its not Belle Ridge luxury but its extremely nice and a great fit * I wasn't paid for any review. I've never heard of such a thing. Wouldn't lie even if I were offered cash. Has improved over the last 4 years! I have lived here for four and a half years. I will certainly say that our experience has greatly improved since the beginning, I was content with service and atmosphere, but the maintenance has greatly improved and courteous office staff. I would recommend this property to someone now, thank you. I’ve been here over four years and still love living here. Nice staff, quiet area and unbelievably easy access to every where! All goes well, I’ll probably be here another four years! !